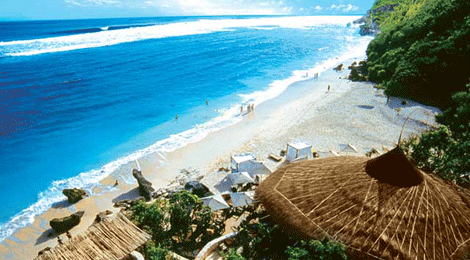 beaches, fantastic swells for surfing, seafood and temples. 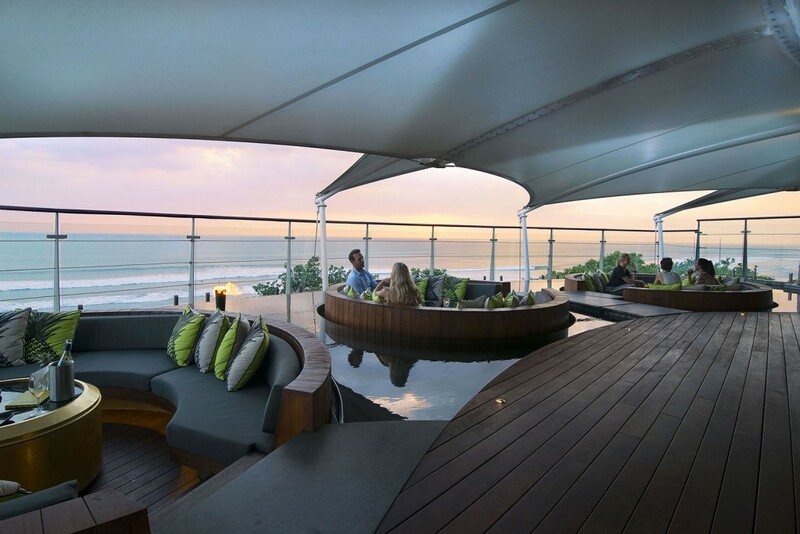 e rooftop bars you all know about. Here, we have unique bars that transport you to a different world, where you can have a conversation, and those you will talk about long after you’ve returned home. whisky in a horror laboratory? We’ll show you what it means to be unique, even when you’re getting your alcohol fix. 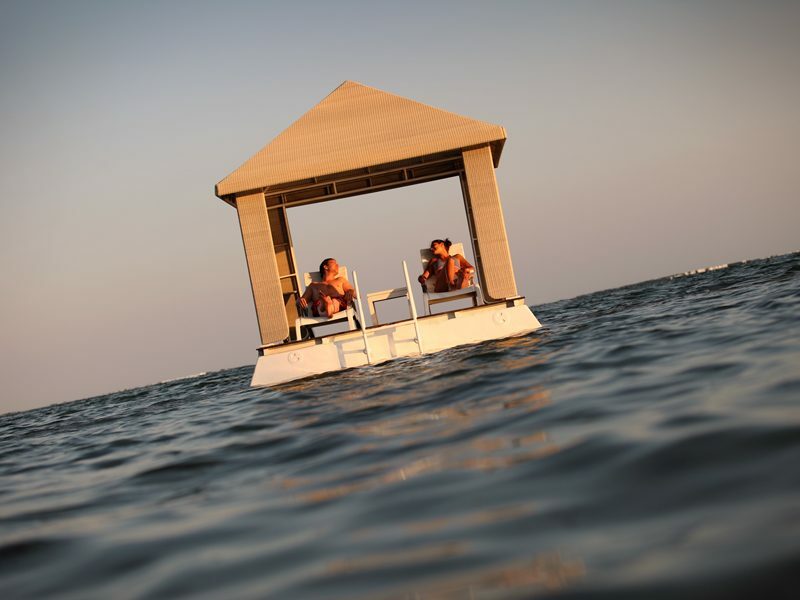 Swim out to laze on a floating platform in the middle of the ocean, right after you’re done with your drink. You’ll be the envy of all the other holidaymakers. 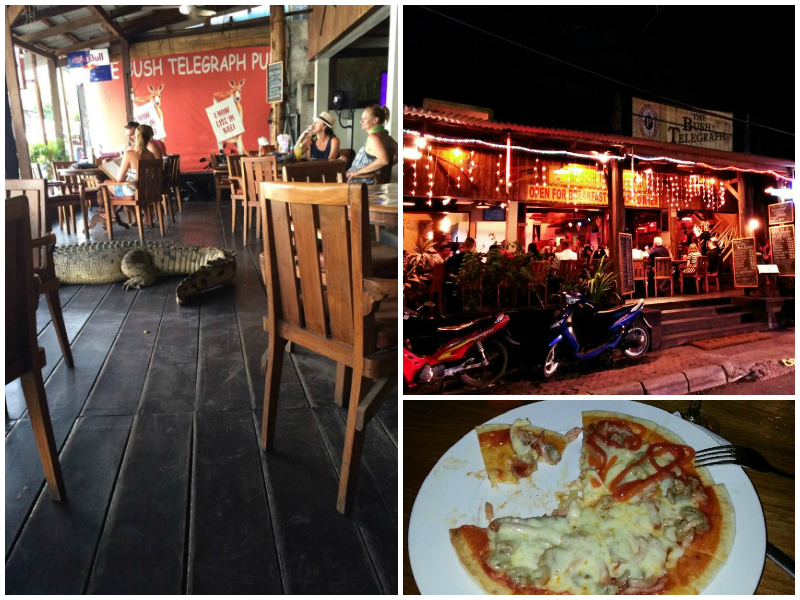 With a focus on Australian food and a gigantic crocodile (which is thankfully very much dead) at the entrance, The Bush Telegraph Pub screams outback, Steven Irwin and all things adventurous. 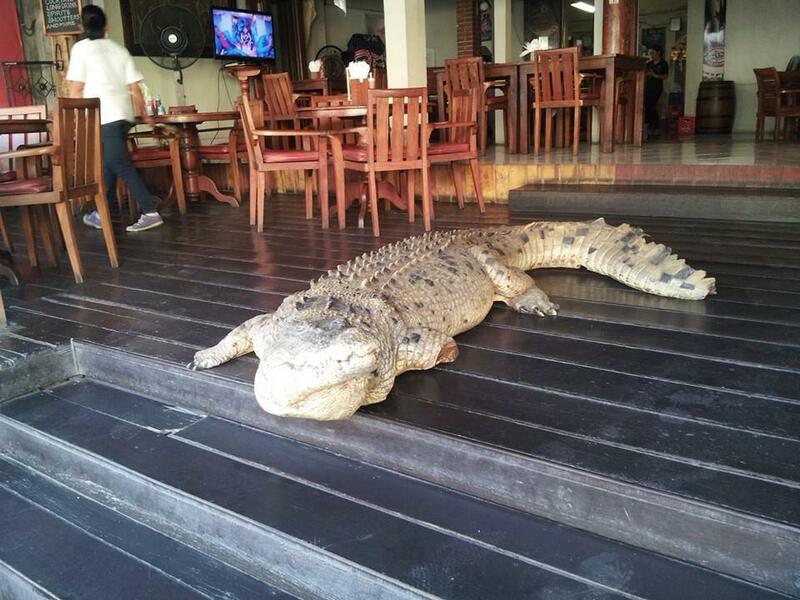 But apart from the much-feared reptile, this pub also offers live bands, wonderfully cold beer, steak, grilled tuna, and (if you’re into it) lots of drunk Australians. It’s basically like a trip to the land of Oz without the giant spiders and trees that could kill you. After all, if it’s good enough for this Kangaroo it’s good enough for you. Mirror Lounge and Bar is behind the cafe Gardin Bistro (run by the same company), so you can head to the latter first to load up on pastries and coffee, before heading to the back to dance the calories off. 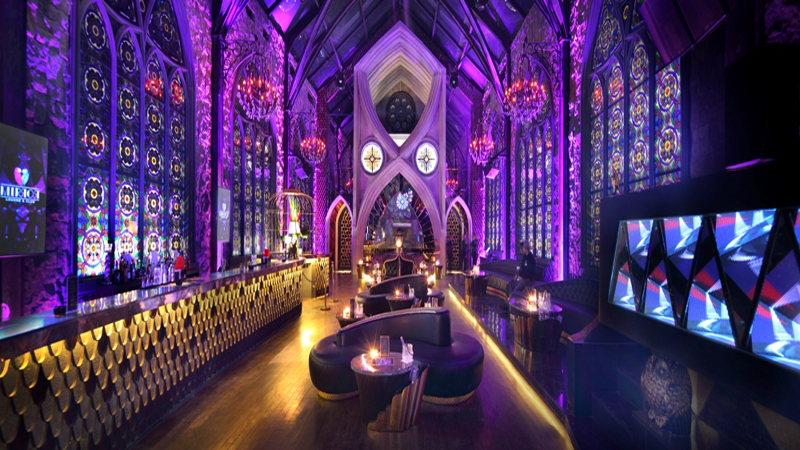 Resembling a cross between a Gothic cathedral (high ceilings, hanging lamps, general creepy beauty) and a rave from the future (laser lights) Mirror is the place to worship the night. 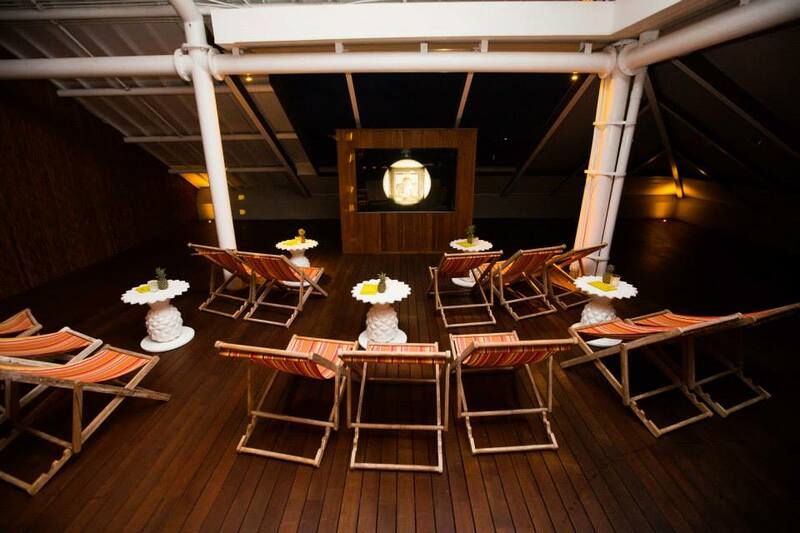 You can dance the night away to internationally famous DJs, watched over by trapeze artists swinging over your head. And though you’re indoors, you can easily imagine the space opening up to the stars – the roof is made of glass. 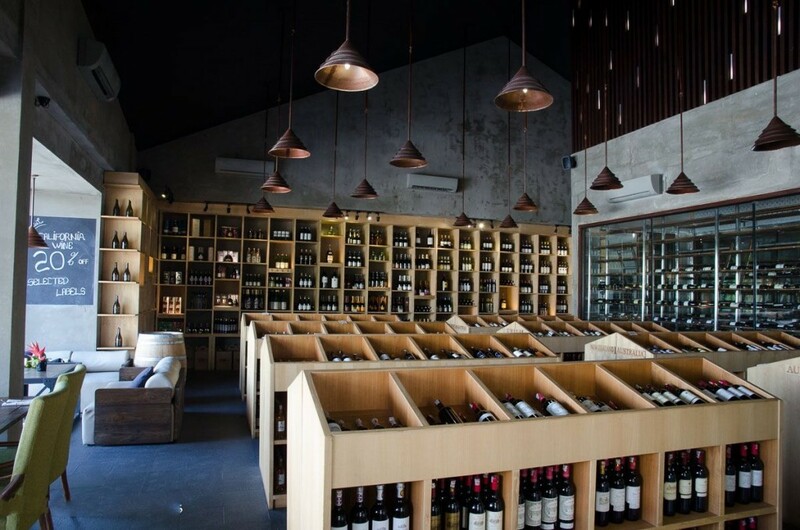 Started by wine and restaurant group VIN+, which is renowned for its extensive collection of labels from around the world, VIN+ Seminyak offers a treat not just for the palate, but also for the eyes. 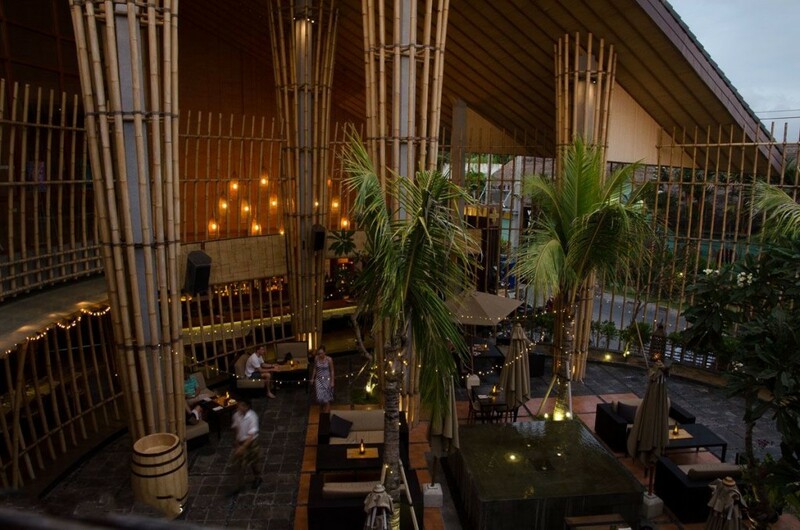 The bar is a housed in a soaring structure of bamboo, local wood and stone, standing out starkly even in its swank Seminyak neighbourhood. Its interior is equally stunning, with high ceilings, spaced-out tables and romantic yellow lighting that create a relaxed atmosphere. Come here to while away the evening with charcuterie boards, house cured salmon and bottles and bottles of wine. 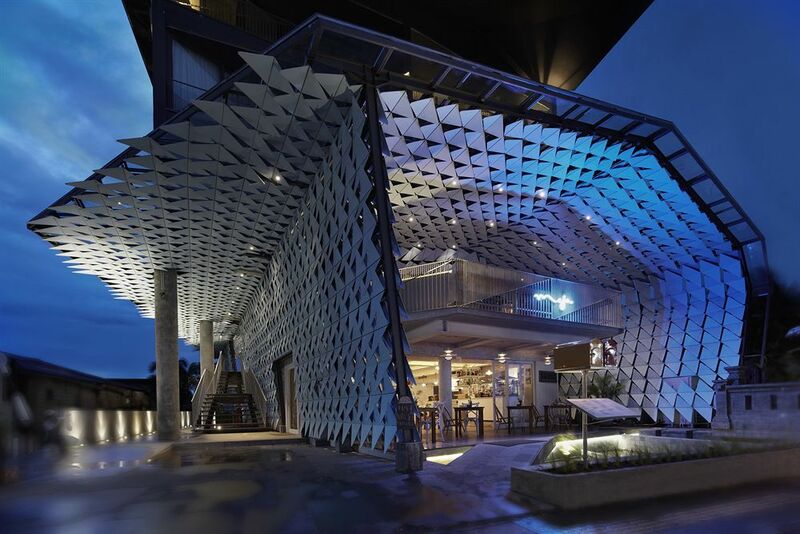 Double Six Luxury Hotel is conceived less as a hotel and more like an entertainment hub with rooms attached, so if you go, do expect to be entertained, wined and dined. 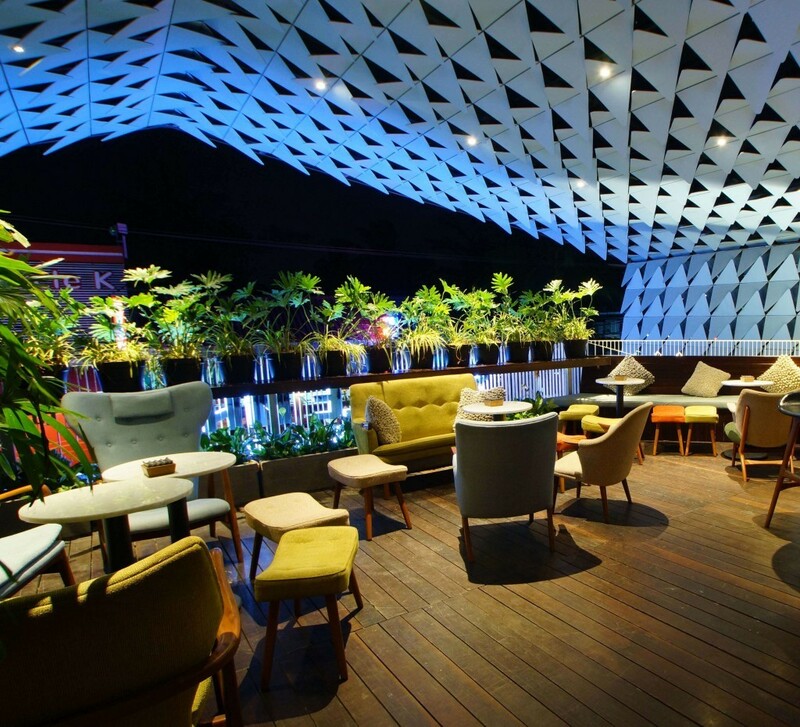 Standing at 1,700 square metres, Double Six Club is the hotel’s rooftop bar (and also one of the world’s largest), where you can party every night. 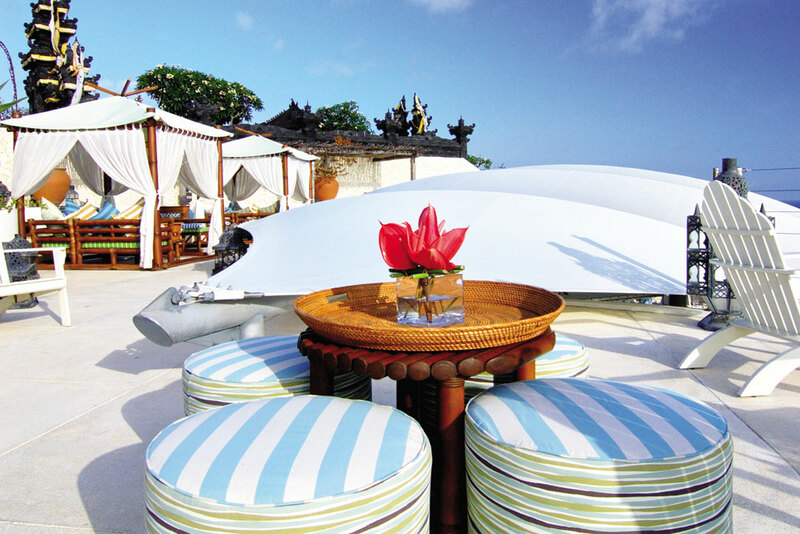 15 metres above sea level and overlooking Double Six Beach, there’s plenty of view to enjoy as you sip on cocktails with a Balinese twist, listen to the DJs and relax in floating pods—circular benches surrounded by water. 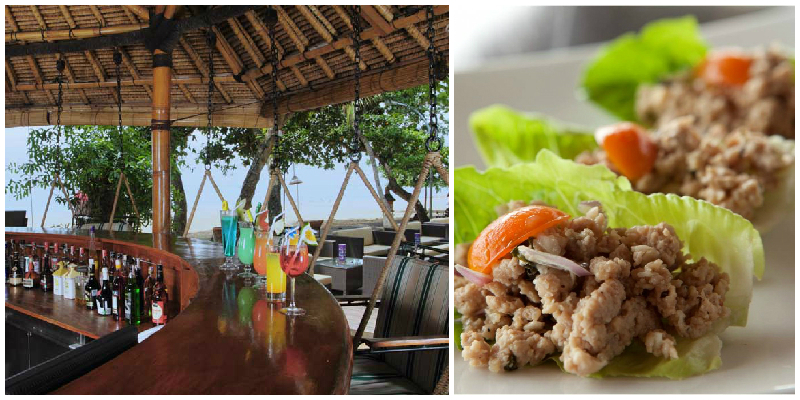 You can feast on satay cooked over coconut-shell fires at the circular fire grill, sliders and spring rolls. It’s also a fine place to get some culture. There’s a mini theatre, whimsically named Pineapple Studios, and the films screened include art films from the BALINALE: Bali International Film Festival. From the name alone you’ve probably decided that this is a Brazilian-themed bar. 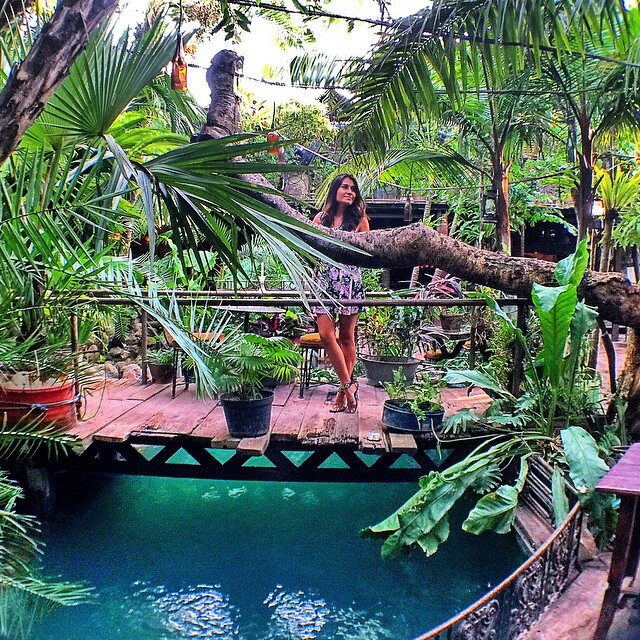 Not wrong, but Brazilian-themed doesn’t even begin to describe how rad this place is. La Favela looks like an abandoned colonial building hidden in a jungle, with colourful antique furniture, vines creeping all over, old bicycles, scooters and a tired-looking Volkswagen that add to the feel of a place left behind by time. But it’s lively too — the resident macaw, ferret and fish keep pace with the clubbers. 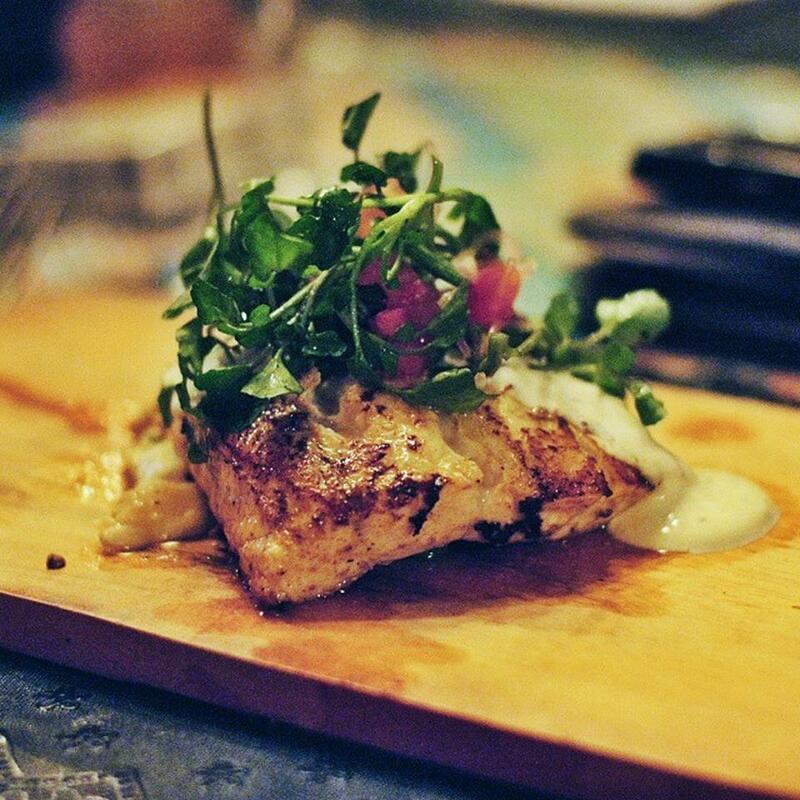 You’ll be able to keep going all night fueled by the excellent tapas and the refreshing cocktails. 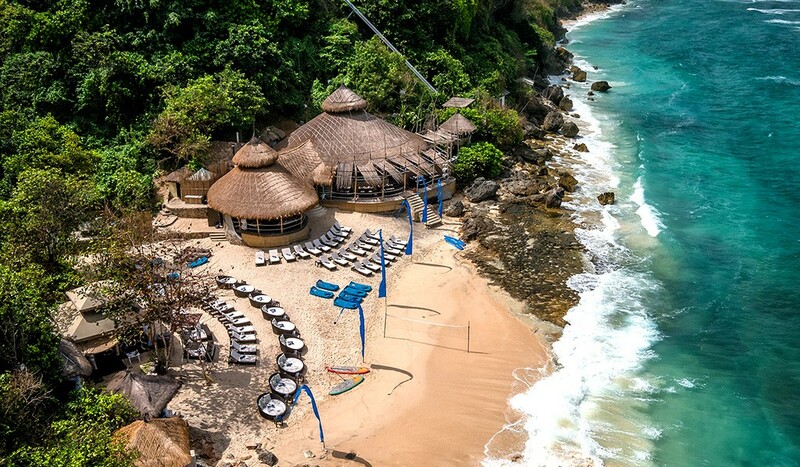 The Karma Beach club is located at the bottom of a cliff on one of Bali’s hidden beaches, where white sand meets the sparkling Indian Ocean, clear and blue for as far as the eye can see. But you’re probably wonder how to get down to the club — this is where the fun begins. You can either take the stairs or pay USD $2 to take the inclinator ride to the bottom. 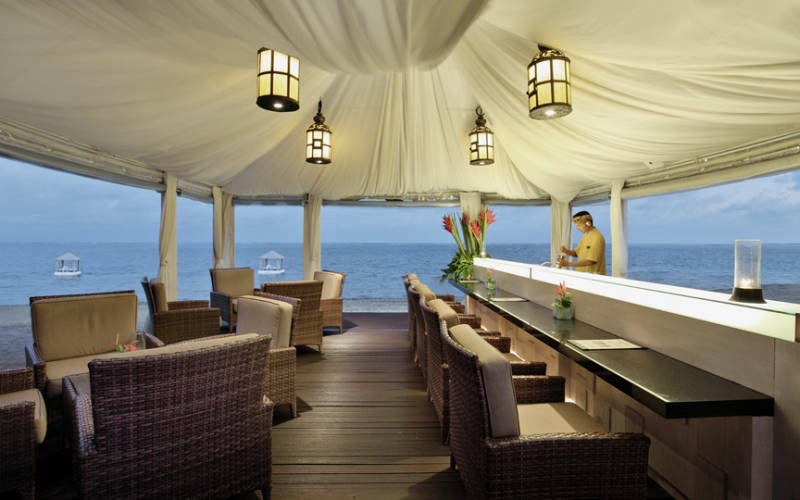 Either way, you’ll get to enjoy a panoramic view of the beach and sea. Once you’re there, you’ll be greeted with deck chairs, parasols and a restaurant in a beach shack with a thatched roof and bamboo veranda. Get your gourmet cocktails and wood-fired pizzas here. 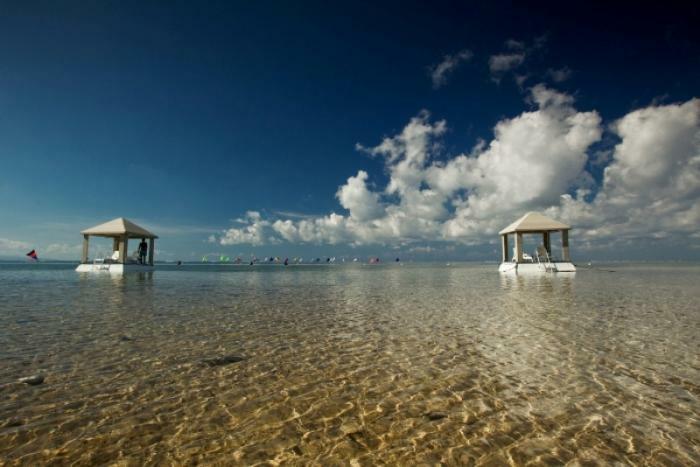 You can sunbathe, go snorkeling or admire the limestone cliffs while kayaking. 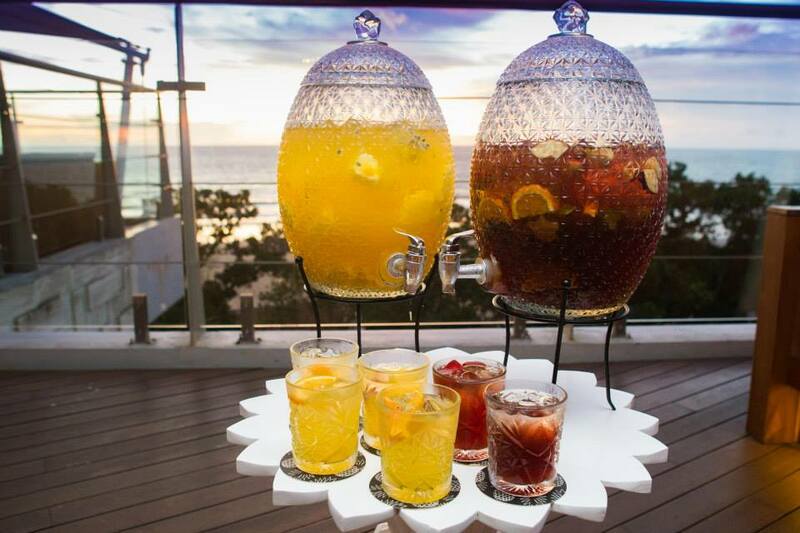 Karma Beach brings in live DJs so the entire beach takes on a party atmosphere as night falls! 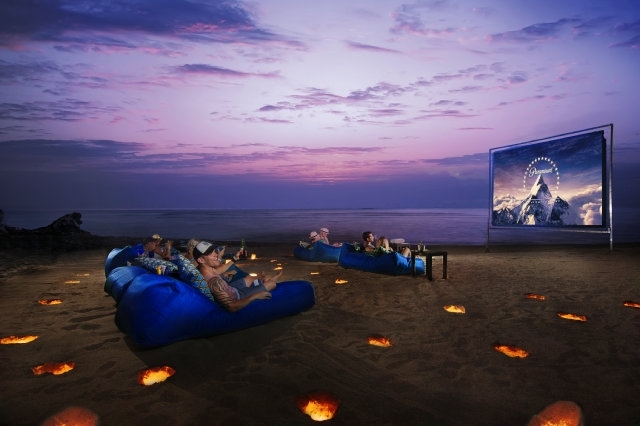 But on Mondays, the entertainment is a little different – an outdoor theatre will be set up for movie screenings, which are bound to be magical whether it’s ’22 Jump Street’ or ‘The Great Gatsby’ playing. Also part of the luxurious Karma Kandara resort is the Temple Lounge & Bar located on the roof of the La Mare restaurant, which is perched on the cliff top. 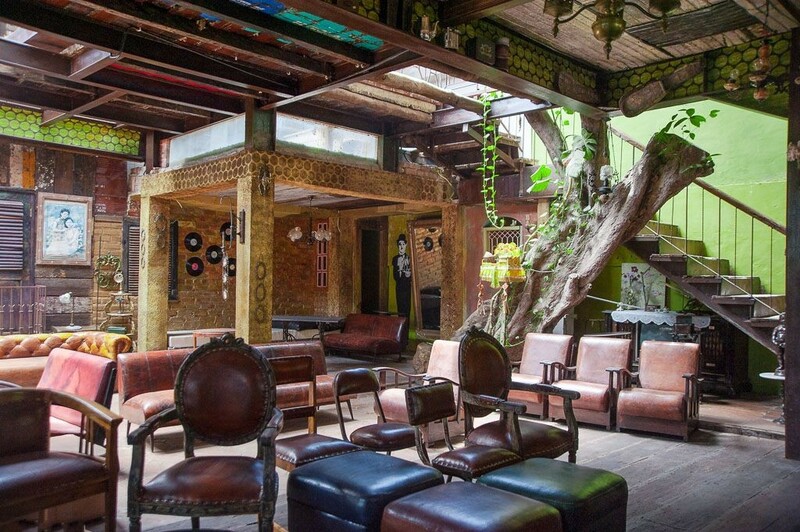 Temple is decked out in a sumptuous North African style – roomy colourful banquettes, shisha pipes for smoking and Moroccan stained-glass lanterns. 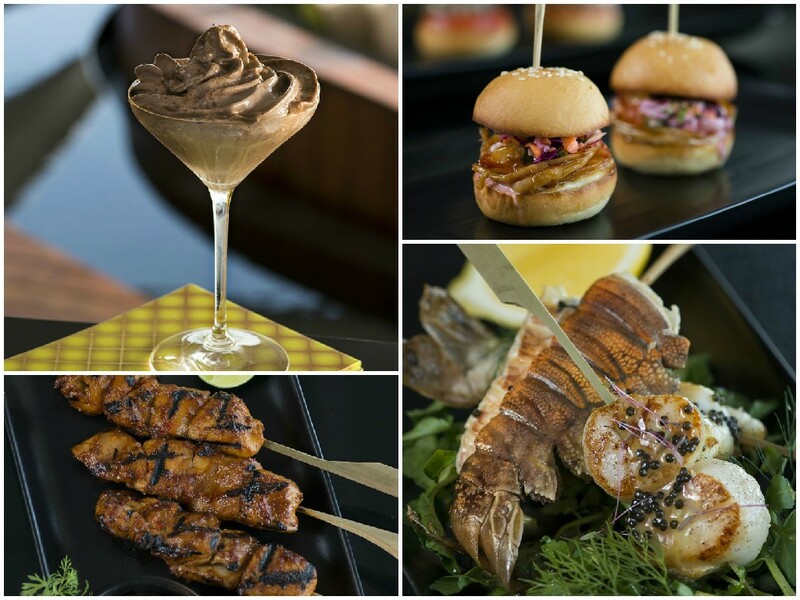 It sets the scene for the similarly themed food – custom cocktails and Middle Eastern-inspired tapas. 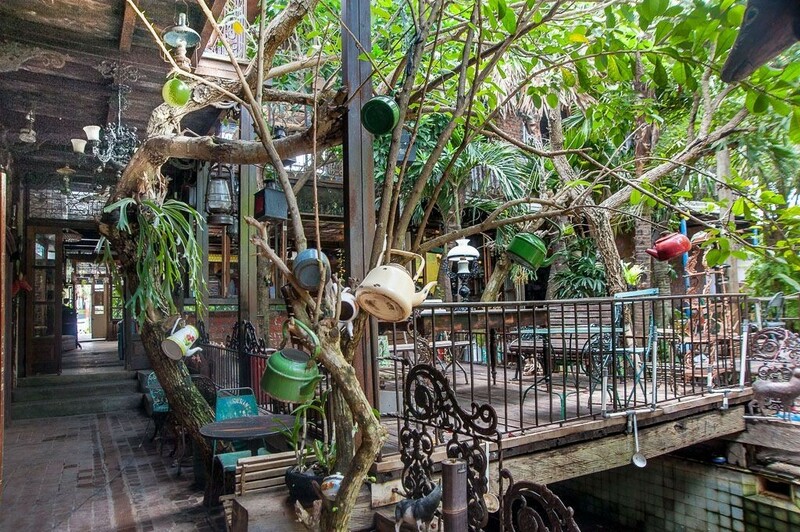 If so, you’ll love Frankenstein’s Laboratory, which not only has a unique theme but is also possibly the scariest bar in Bali. 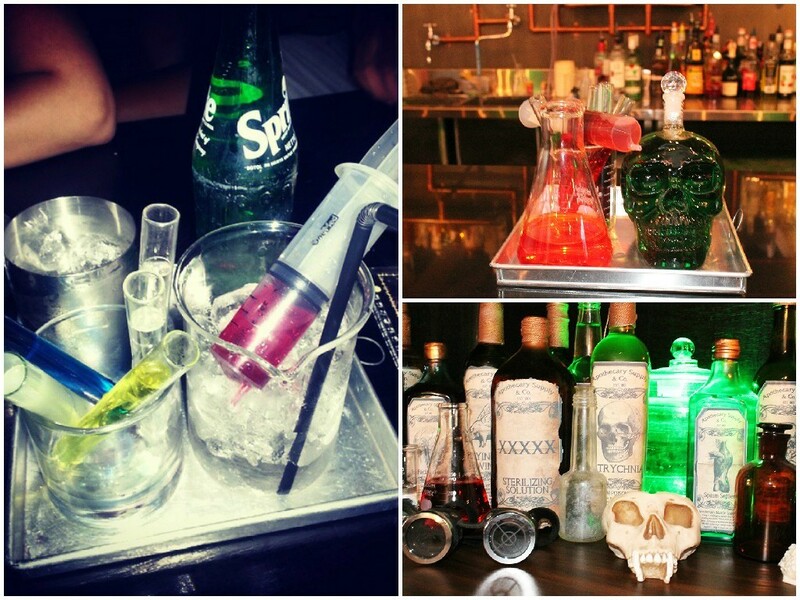 The Lab is where you can get your cocktails (we mean strange concoctions served in beakers, test tubes, syringes and IV bags). You can order off the menu, or if nothing suits your dark desires, you can even ask the mad scientists to cook something up for you. 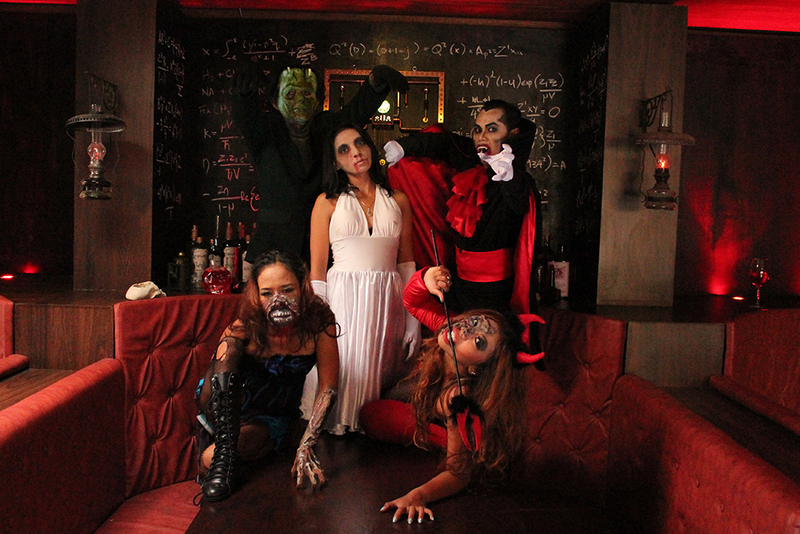 Get some Monster Bites at the restaurant or be entertained by the Dancing Dead Cabaret, which consists of comely blood-splattered undead women, Dracula, and of course Frankenstein himself. 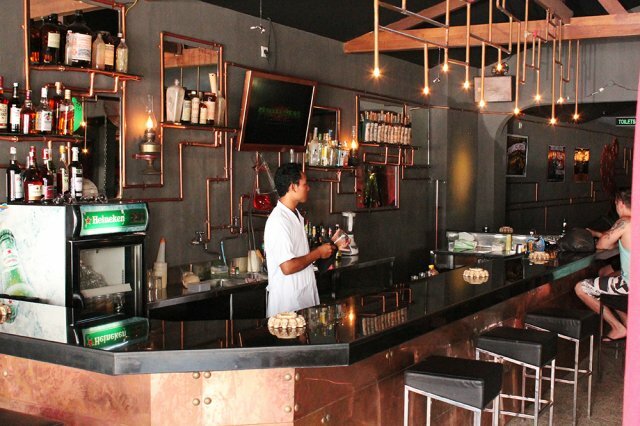 Located in IZE Hotel Seminyak, stepping into Single Malt Whiskey is like stepping into Prohibition-era New York. 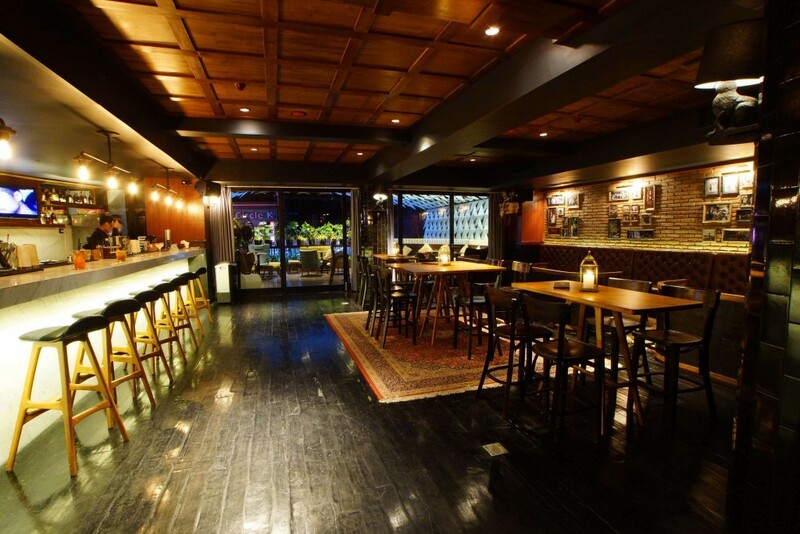 You’re transported back to the 1920s and Single Malt is an underground speakeasy, with its brick walls, oversized leather armchairs, vintage lamps and Persian rugs. But the biggest draw of Single Malt Whiskey has to be the wide selection of (surprise!) whiskey. There are 60 different types, including the rare and the vintage. Add to that the affordable prices (drinks are sold for as low as USD 10, and available by the glass), and these reasons make Single Malt a great place to hang out. 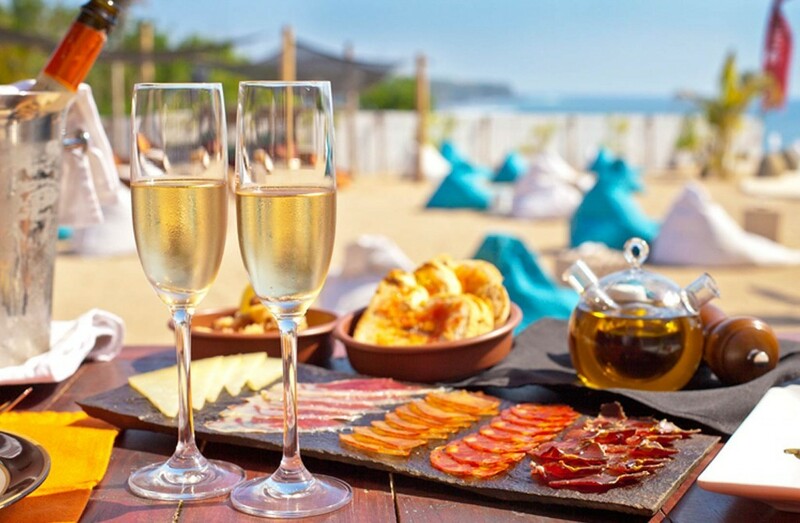 If you fear getting drunk on an empty stomach, never fear – there’s a tapas menu for some quick bites! 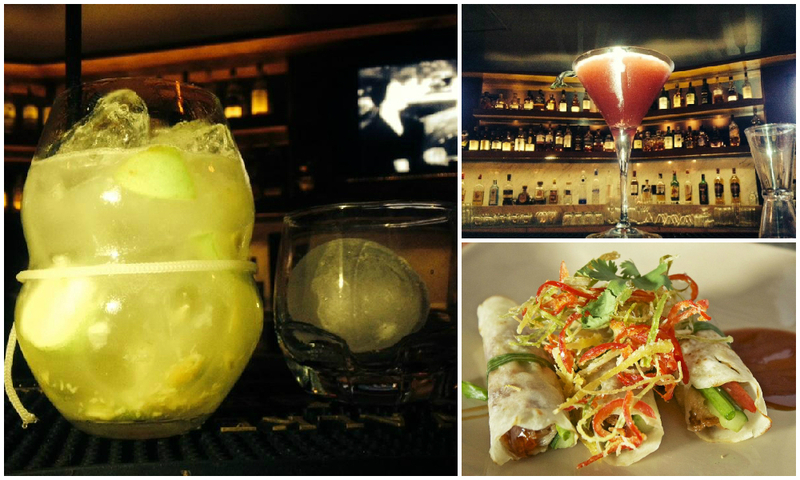 The Bamboo Bar is an entire work of art. 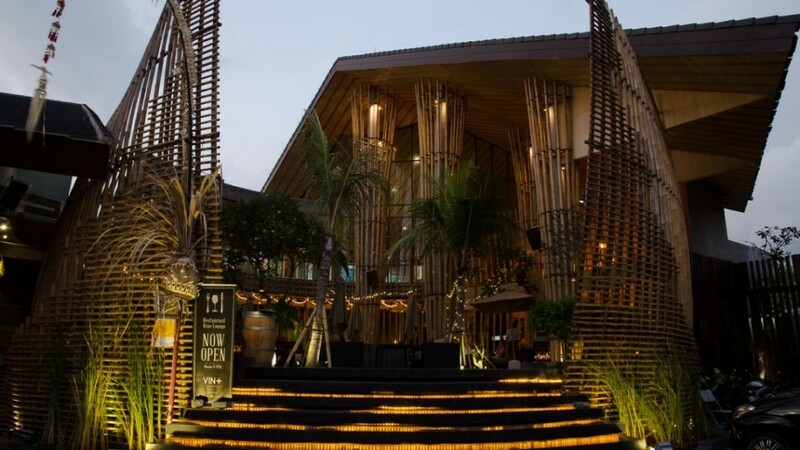 Designed by a Balinese architect, it’s built completely from bamboo – ingenious and environmentally friendly. The best thing? 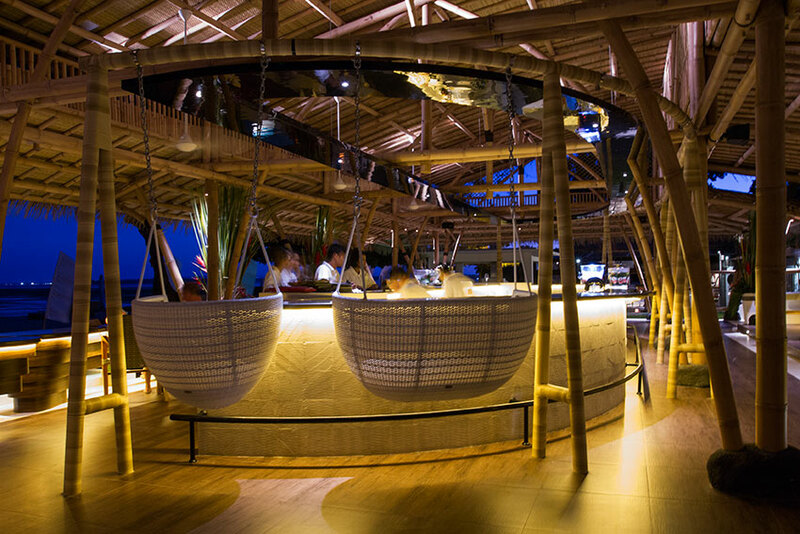 The swing seats surrounding the bar – you can relax in these bamboo cradles while sipping a cocktail, sort of like an alcoholic baby. 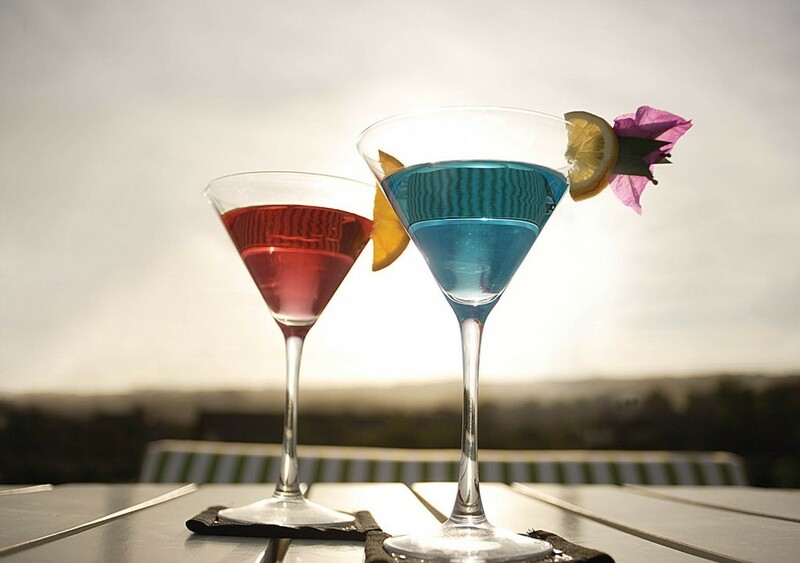 Mocktails, thin crust pizzas and the strong wifi connection are other good reasons why you should come here. 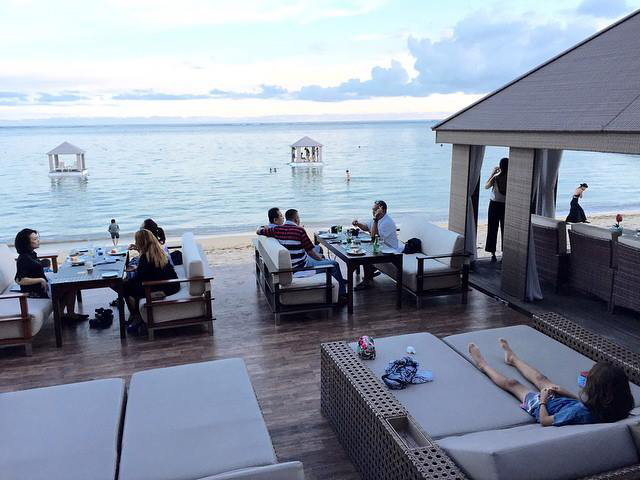 Since the bar is on the beach, you can laze on the sun loungers too. Or you can just take a tipsy walk on the beach, splash a bit in the sea, or swim if you are not too drunk! The El Kabron restaurant and club opens at 11.30am and closes only at 10pm, so you can actually party all day and well into the night. And you’d probably love to! 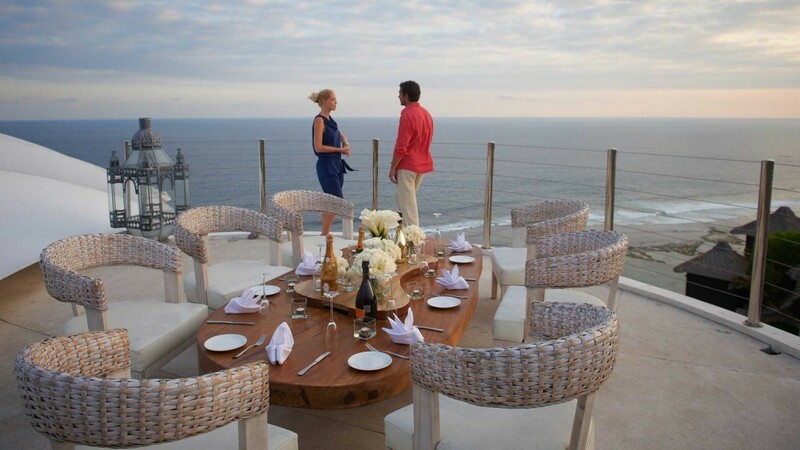 The establishment sits on a cliff top overlooking the Indian Ocean, a view you can enjoy as you feast on Spanish cuisine in the glass-fronted dining room, sunbathe on the deck in front of it or lounge in the infinity pool. 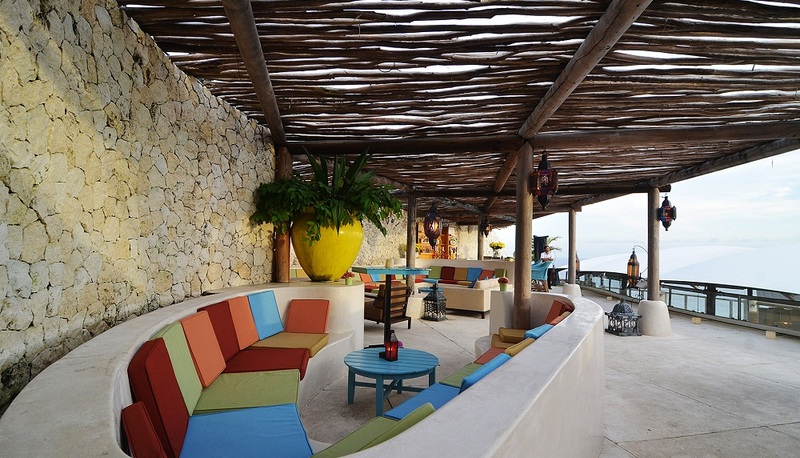 Perched on the cliff edge, you can almost imagine going over the edge as you take in the sunset from the pool. 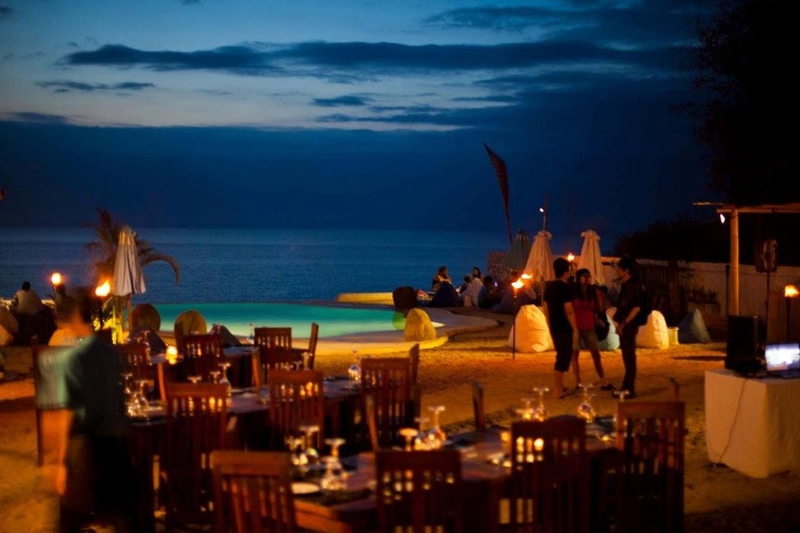 Live DJs will entertain well into the night and you can dance in this open air club, high on paella, sangria and life. Are there any more awesome exotic bars we missed? Let us know! 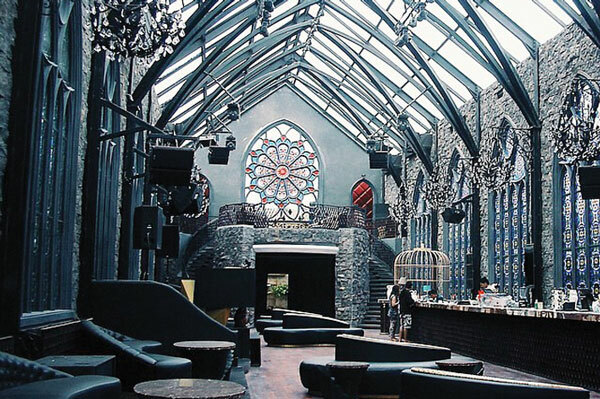 The post 12 unique bars in Bali where you’ll experience nightlife beyond your imagination appeared first on Qraved Journal.